Can I receive online notifications from the CRA instead of through the mail? Yes. If you’re registered to use the Canada Revenue Agency’s (CRA) My Account service, you can choose to receive some of your mail from the CRA online, rather than waiting for it to come by mail. Selecting this option is not only good for the environment, it is also a safe way to receive your correspondence from the CRA. You’ll also know where to find your important documents (like your notice of assessment and benefit notices) whenever you need them. Note: You’ll need to register for CRA’s online mail service if you want to view your notice of assessment (NOA) in H&R Block’s tax software using the CRA’s Express NOA service. The Express NOA service lets you view your NOA in the tax software after you NETFILE your return. Once you’re signed up for online mail, you’ll receive an email from the CRA whenever you have new mail to view in My Account. You won’t receive any links in these emails that open your information in My Account. Instead, you will need to log into My Account to view your online mail. Keep in mind, your documents (such as your notice of assessment (NOA)) will no longer be printed and mailed to you. However, if you need a paper copy of your documents, you can print or download a copy from My Account. Note: If you’re using the MyCRA mobile app, you’ll be able to view your online mail in My Account. What sort of correspondence will I receive? When new correspondence becomes available, the CRA will send you a notification that a new document is available to view in My Account, so you never have to worry about missing something. 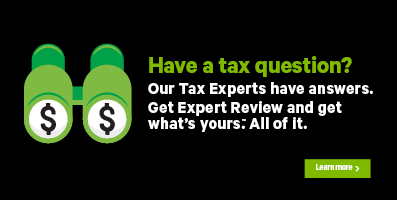 Click the CRA questions link (if you’re a resident of Québec, click the CRA/Revenu Québec questions link). Enter your email address* into the designated field of the tax software and agree to the terms and conditions. *Important: When registering, you should provide your personal email address to protect your privacy. It is your responsibility to make sure that the CRA has your correct email address. You can update your email address with My Account or the MyCRA mobile app.